The Monster High™ dolls are all dressed up for a party with beastie purses to bring their outfits to life! 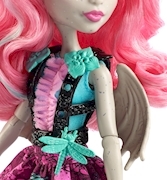 Rochelle Goyle™ doll looks fashionably fierce wearing a party dress with signature colors, an iconic print and a trendy silhouette. 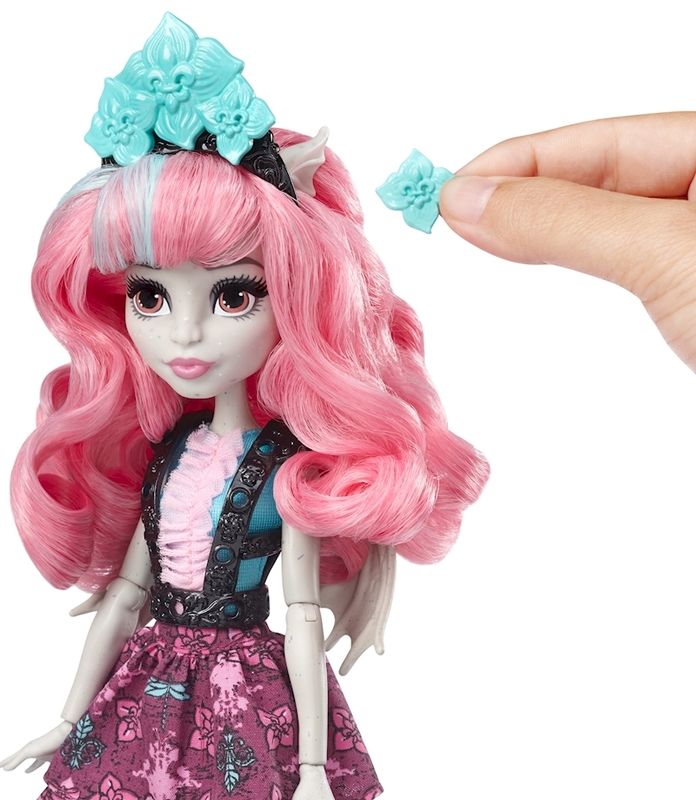 Use the fun snap-in monster-inspired accessories to customize her look. Iconic pieces can snap into her clawesome shoes, fangtastic headpiece, torso adornment -- and the beastie purse. Decorate one way for one story; then redecorate for another. 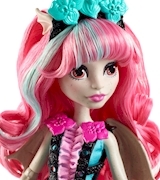 Rochelle Goyle™ doll, the daughter of a gargoyle, is rock solid in pinks and blues with black accents, a ruffled skirt and flowers on the shoulders. Pink boots (with Scarisian scrolls), an artsy headband and her gray gargoyle beastie bag can be decorated with a colorful bow, Scarisian scrollwork and a dragonfly to let you create a masterpiece!